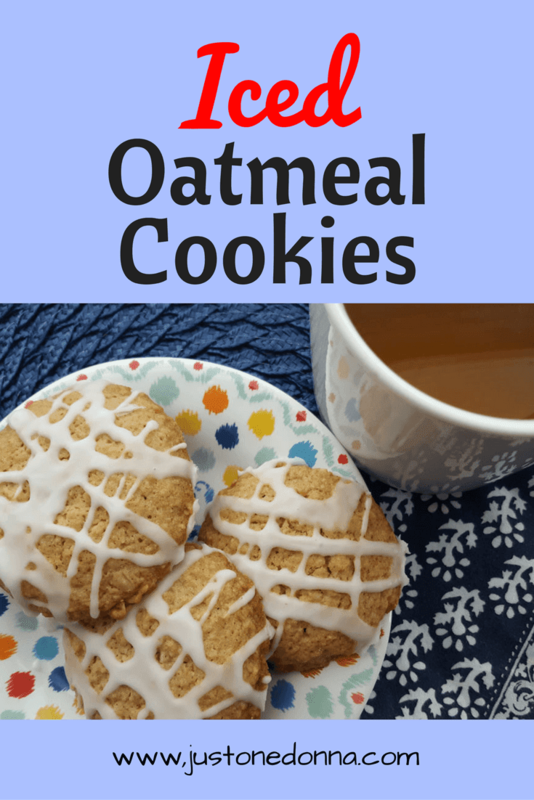 If you are a purist when choosing cookies you'll love these iced oatmeal cookies. 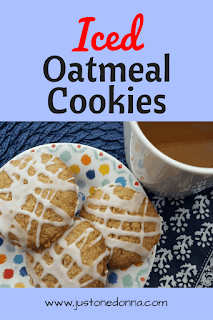 These cookies are all about the oatmeal, enhanced by a simple sugar icing. Eating them might bring back memories of days gone by, after-school milk and cookies, or brown bag lunches. This post contains affiliate links for your convenience. When you shop using these links I receive compensation that supports this blog. 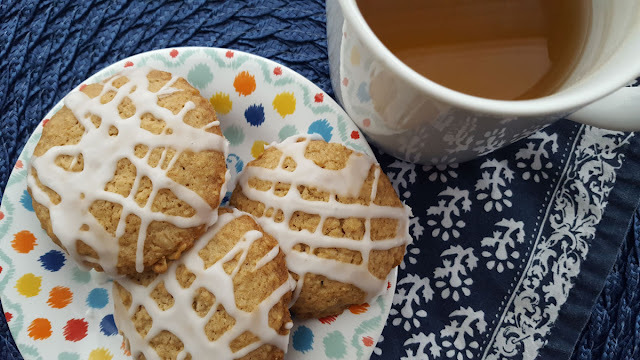 These iced oatmeal cookies are just as yummy now as they were then. They are still great with a glass or milk, but I like them with a hot cup of coffee or tea. There's nothing complicated about making this recipe. Using your food processor to process the oatmeal into a finer texture is as complex as it gets. I used my small Cuisinart Mini-Prep for that. The cookie batter comes together by hand so no other kitchen tools are required. You'll want to keep these cookies in a sealed container for up to five days or freeze them for later. They'll keep well in your freezer. Preheat your oven to 350 degrees F. Put the oatmeal in the bowl of your food processor and pulse five or six times. 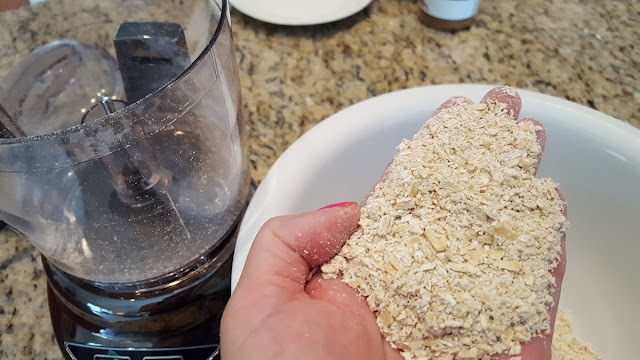 You want the texture of the oats to be a little finer with a few bits of chunkier oats showing. Place the oatmeal, flour, baking powder, baking soda, and salt in a medium-sized bowl. Whisk to combine. 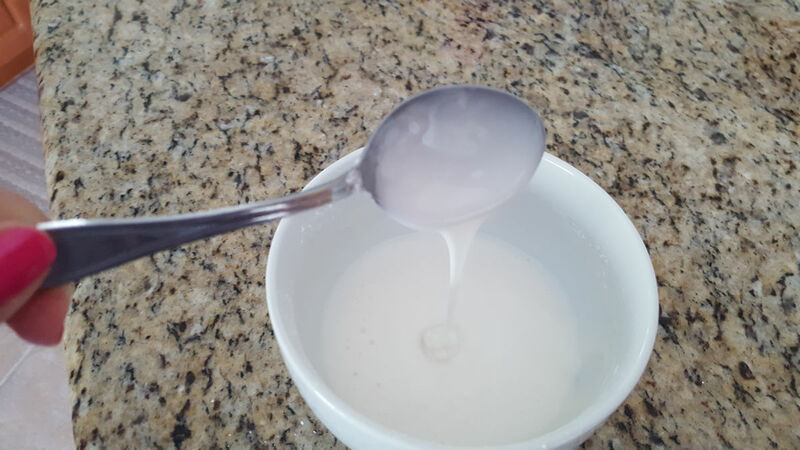 In a larger bowl, mix the melted butter, sugars, eggs, and vanilla together until well combined. Add the flour mixture into the butter mixture and stir until the ingredients are well combined. 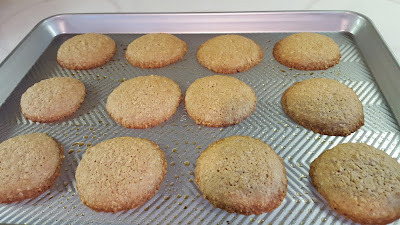 Using a two tablespoon sized scoop, scoop the cookies onto a greased baking sheet. Bake for 8-10 minutes or until lightly browned. Cool on the baking sheet for a couple of minutes before removing to finish cooling. Cool the cookies completely. In a small bowl, mix together the powdered sugar and vanilla. Add the milk, one teaspoon at a time until you get the consistency you want for the icing. 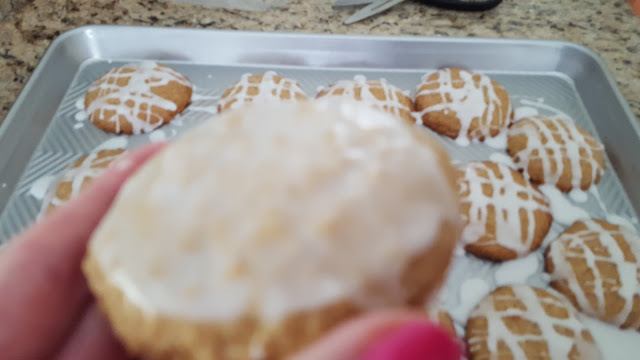 Either dip the whole cookie into the icing to coat the top or place the icing into a zip-top plastic bag. Snip the corner to pipe the icing onto the cookies. 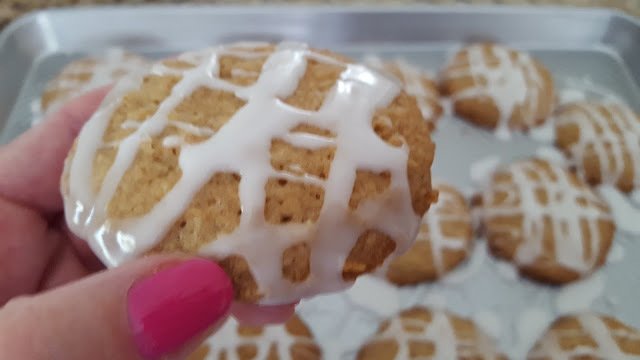 Let the icing dry completely before covering or stacking the cookies. Whichever way you decide to ice your cookies, the results will be delicious. Go for it!